There is no denying the value of mobile app analytics when it comes to understanding how to keep your business top of mind. At Localytics we also know that the web is an important touchpoint for your business, and the most successful digital businesses keep a close eye on their customers’ journeys - wherever they go - to fuel mobile engagement. The Localytics Web SDK works with Localytics’ mobile SDK to track user engagement so that you get a more complete view of your customer. Use Localytics for web to understand user behavioral patterns and drive mobile engagement. To address the growing needs of web apps, we provide a mobile-first web analytics solution that gives your business granular, real-time insights. The Localytics Web SDK captures data and helps you keep your finger on the pulse of digital engagement on both web and mobile. By leveraging robust web analytics in combination with mobile analytics you can track key events and user interactions, boost ROI, and refine your cross-channel marketing strategy. 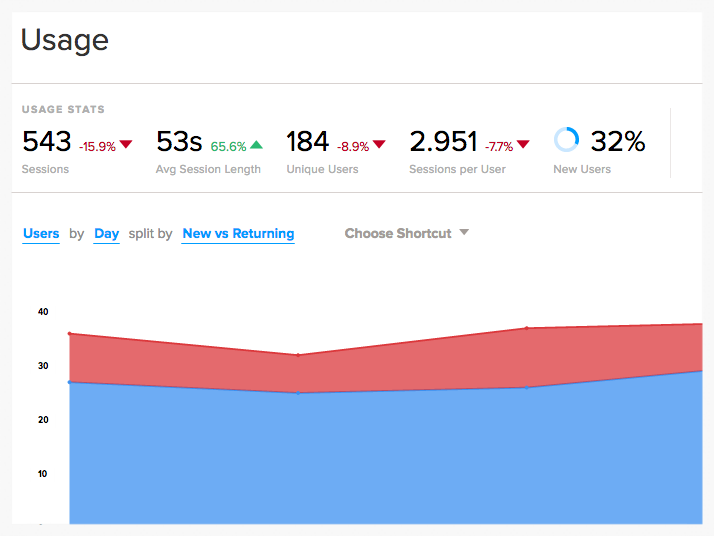 Monitor visitor trends using session tracking to understand when users are visiting your site. With session intervals you can easily identify the length of time users spend between visits. You can also set custom timeout intervals and configure session tracking to highlight the user habits of your website. Understand your users by defining key visitor events and event attributes. Track revenue generating actions of your website so you can inspire desired actions and uncover what drives revenue. Set unlimited custom events and attributes to give better insight into the type of users that are active on your website. For example, by defining a ‘Category Clicked’ as a custom event you can also define the follow-up actions that can be taken by the user. Tailor-made tagging helps you monitor the most important actions in your app and build a deeper relationship with the user. Identify the channel, device, browser and OS your users are using to determine the habits each of your segments exhibit. Filter real-time reports by these attributes to understand the immediate impact of the messaging or marketing campaigns you launch. Create dynamic audiences of web users who display common attributes. Monitor their site interaction over time and engage them via email, push or in-app messaging. Improve conversion rates and precisely identify where users drop off when they visit your site. Funnels provide a simple visualization of the steps your users are taking, making it easy for you to focus on engaging them at the right stage, before it’s too late. Explore funnels using custom or out-of-the-box dimensions and attributes. Unlike other web analytics vendors, Localytics provides real-time web analytics data in your dashboard, allowing you to be aware of the journeys your users are taking on your site. Build unlimited custom reports and schedule reports to stay on top of your site’s activity.